Sealcliffe Holdiay Homes are located in an idyllic clifftop location adjacent to Dunmore East Golf Club. 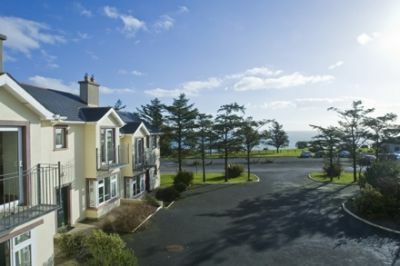 Ideal for a family holiday, as they are located away from the main road, and have a childrens play area on site. The houses are just a short walk (down hill) to the local sandy cove at Counsellors Strand, pubs and restaurants.These 3 bedroom holiday homes have an open plan living/dining/kitchen area on the ground floor with doors leading to the patio and a family bathroom. On the first floor, there is a double bedroom (ensuite), a twin and a single.There is a childrens play area and 18 hole golf course on site. From Shannon: N18 to Limerick, N24 to Mooncoin N9 to Waterford, follow sign for the N25, Turn left R675 (signposted Tramore)From Dublin: N7 to Newlands Cross, M9 to Junction 9 which is signposted Waterford, N9 to Mullinavat via Dungarvan, N25 to Waterford, R634 to Tramore From Cork: Take N25 to Rincrew roundabout, take 2nd exit (signposted town centre), take R675 to Tramore via Fenor In Tramore Go straight through first roundabout. Turn right at second roundabout. Drive through race course roundabout. At next roundabout turn left and take next right into Cluain Mhor. At the end of road take left. Houses are at end of road on the right.